Mary Pope Osborne was born into adventure. Her dad was in the army, so every year or two her family would move to a different state, or even a different country! By the time she was fifteen, Mary had lived in thirteen different houses and gone to eight different schools! Writing children's books was a perfect career for Mary because she could still travel all over the world — but be back home in time for dinner. 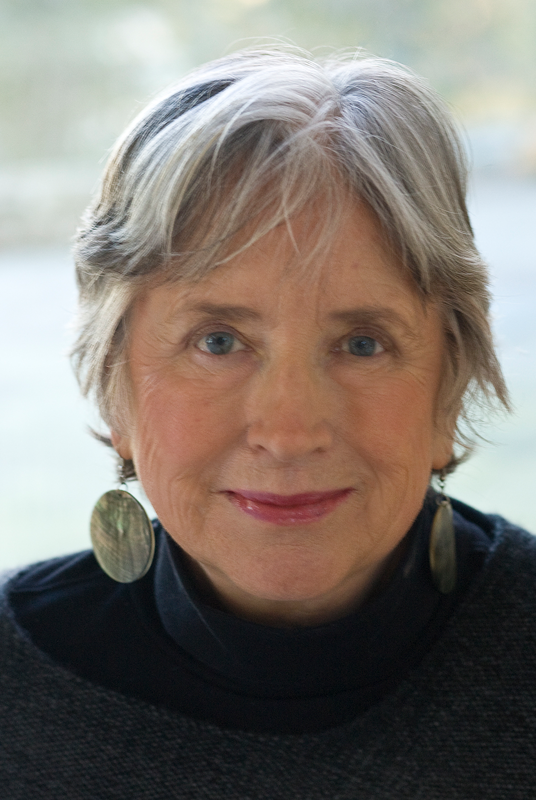 She has written almost a hundred books, including biographies, mysteries, picture books, novels and retellings of fairy tales and world mythology. The books that have taken Mary to the most places are the Magic Tree House series. With Jack and Annie, she has traveled through time, from the prehistoric land of dinosaurs to the imaginary world of Camelot. But one of the greatest adventures of Mary's writing life is the creative journey she takes with her readers, meeting them in person in schools and bookstores and reading the wonderful stories and letters they send. This, Mary says, is true magic. Natalie Pope Boyce grew up in a military family, and they moved every few years. One of the most beautiful places they every lived was in Salzburg, Austria. She and Mary could see a castle from their windows and often took walks on the lovely old street where Mozart grew up. Their time in Austria later inspired Mary to write Moonlight on the Magic Flute. In fact, Natalie says the research guides have been fun to write because many bring back memories of places where they've lived. For example, when it was time to work on Dolphins and Sharks, she remembered seeing dolphins leaping out of the water when her family's house was on the ocean in Virginia. The sight of them never failed to exciter her and her brothers and sister. After Natalie grew up, she continued to travel. While living in Ireland for a year, she learned about Irish folklore. This made it so fun to write Leprechauns and Irish Folklore. Natalie also once lived in Hawaii, which was good preparation for writing Tsunamis. She was used to hearing tsunami warning sirens on all the beaches and had always been fascinated by their power and wondered what caused them. Natalie thinks that living in different places is a great education. She also thinks that books give kids an amazing chance to have their own adventures. . . and they never have to leave home! When Will Osborne was a boy, his imagination was full of characters from his favorite books. Pretending to be Robin Hood, Tarzan, and Peter Pan, Will and his friends had many incredible adventures in the woods behind his house. In those games, Will was usually the hero, swinging a stick and saying things like: "Take that, Captain Hook!" Will's love of pretending led him into his first career, as an actor. Traveling the country with theater companies and acting on television, Will sometimes had the chance to play villains. He says that this can actually be more fun than being the good guy! Salvatore (Sal) Murdocca grew up in Brooklyn, New York, back in the days when, as long as he showed up at school and the dinner table, a kid was pretty much free to do as he liked. And what Sal liked to do, when he wasn't out exploring with his friends, was to draw and paint. He worked hard at his art, treating every drawing like the most important project in the world. 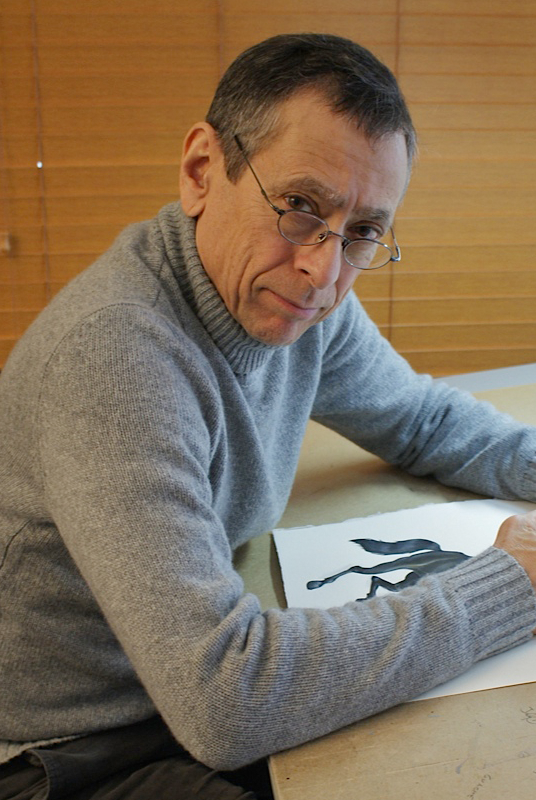 As an adult, Sal has illustrated advertisements and picture books, but his absolute favorite work has been illustrating the Magic Tree House series. Drawing the ever-changing subjects, locations, time periods, and action of each book is a wonderful challenge. It's also fun to be the one who gets to show the world what each new Magic Tree House story will look like! 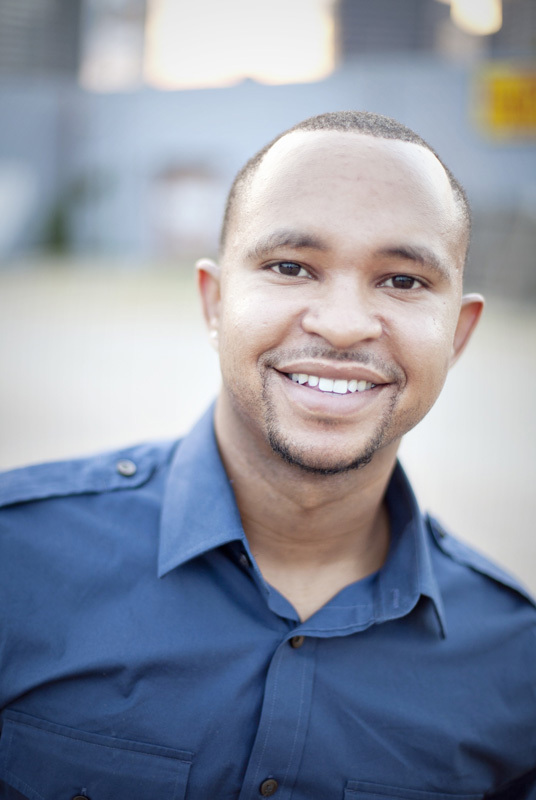 AG Ford is a New York Times Bestselling Children's book Illustrator and recipient of two NAACP Image Awards. 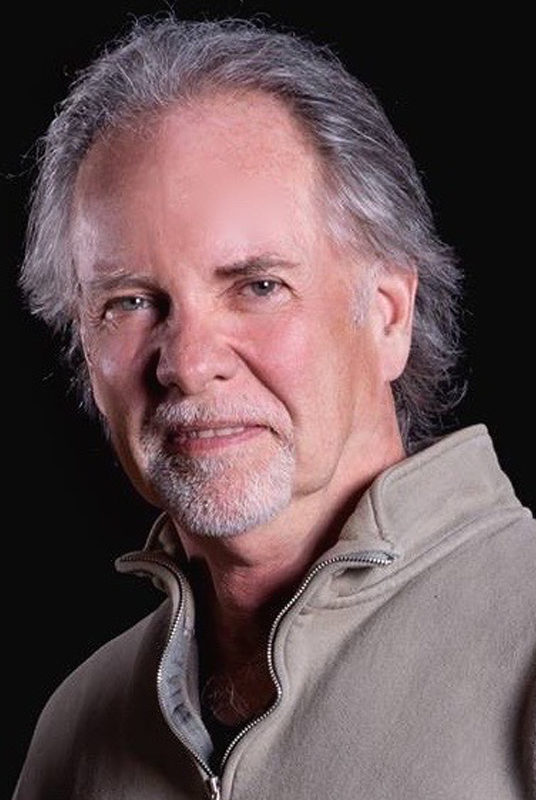 He grew up in Dallas, Texas and went on to attended The Columbus College of Art and Design majoring in illustration. He has illustrated picture books for Kareem Abdul-Jabbar, Martin Luther King III, Nick Cannon, Jonah Winter, The Archbishop Desmond Tutu and many others. Mr. Ford has 15 published children's books with publishers such as HarperCollins, Simon & Schuster, Scholastics and Candlewick Press. He lives in Frisco, TX with his lovely wife Brandy and their son Maddox. The first Magic Tree House book was published in 1992 — introducing the world to Jack and Annie, a brother and sister who discover a magical tree house filled with books. 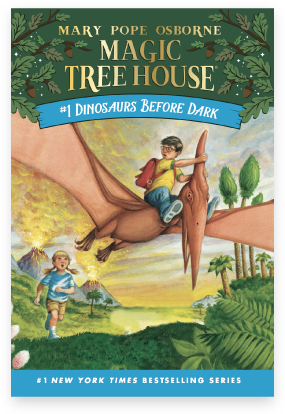 In Dinosaurs Before Dark, the tree house takes them on their first journey, an adventure in prehistoric times. Since then, the magic tree house has whisked Jack and Annie — and lucky readers! — on many more adventures through time to different places around the world. In 2001, the first Merlin Mission was published, Christmas in Camelot. 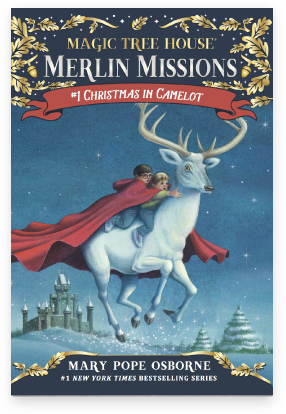 The Merlin Missions are nearly twice as long as the original twenty-eight titles, with smaller print and a higher reading level so kids who start to read chapter books with Magic Tree House can continue reading about their favorite characters and be challenged. 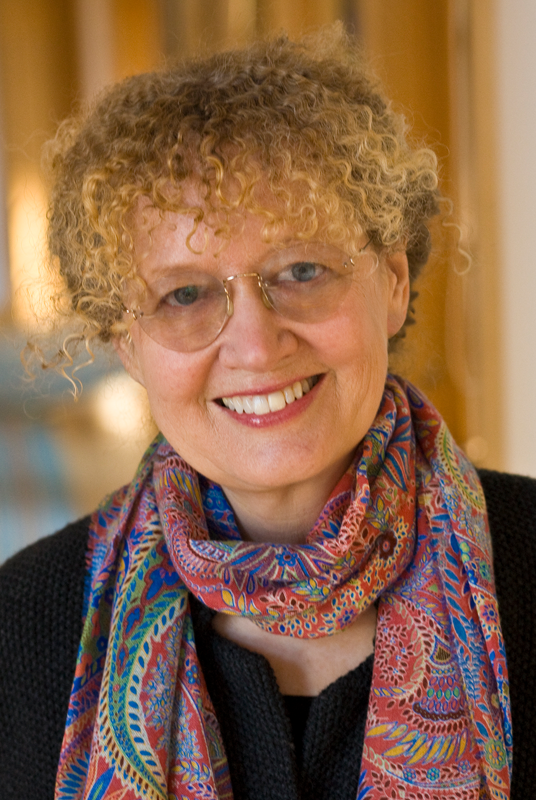 In 2000, the first two Magic Tree House Fact Trackers came out, cowritten by Mary Pope Osborne and her husband, Will Osborne. These nonfiction compilations to the Magic Tree House books give readers a fun and easy way to find out more about their favorite places, time periods, and subjects. After the first eight titles, Mary's sister, Natalie Pope Boyce, came on board to coauthor with Mary. 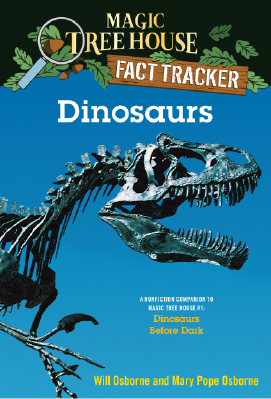 Filled with up-to-date information, photographs, illustrations, and fun tidbits from Jack and Annie, the Magic Tree House Fact Trackers are the perfect way for kids to find out more about the topics they discover in their favorite Magic Tree House adventures.